Not that I know enough to support or deride Rahul Gandhi, but I’m pretty sure he’s on to something here. The story of modern India is one in which a skilled, well-intentioned, resourceful, patriotic person — be it a businessman, technologist, social worker, or political leader — is bamboozled by the bureaucratic machine of Bharat Sarkaar no matter how hard they try. I also like that he starts off by bashing his own party for it’s lack of rules. Every single day, I meet people who have tremendous understanding, deep insight and no voice. And all of us meet them. They are everywhere. But almost always they are kept outside our systems. No one can hear their voice. No matter how muchthey try to speak no one listens. And then I meet people holding high positions with tremendous voice but with no understanding for the issues at hand. Why does this happen? It happens because we don’t respect knowledge. We respect position. And it does not matter how much wisdom you have, if you do not have a position, you mean nothing. This is the tragedy of India. As Boromir would have put it, one does not simply pick fruit at the Palo Alto farmers market. This is a city in which the average denizen’s fitness would put most fiddles to shame; a town with more yoga studios per square mile than banks in Manhattan. If you’re a Starbucks barista here, you better know the glycemic index of each item: calorie values are so dotcom era. It is, therefore, not unusual for a relative food ignoramus like me to feel somewhat under pressure at the prospect of just picking the first piece of fruit and buying it, which is what I usually do, a practice which, in its defense, has proven more than adequate. But when the customer next to you is asking the friendly proprietor about the Brix acid ratio of this season’s nectarines, you tend to at least try to fit in, if you know what I mean. And so it came to pass that against my better judgment, I tentatively picked up a watermelon and lightly tapped on it with my knuckles. And, inevitably, (for Murphys Law hath no mercy) it also came to pass that right after the aforementioned knocking a kindly old Asian lady with twinkling eyes looked at me and asked, “So, what do you think?” – a question which, I’m sure you can guess, had only one honest answer. Clay Johnson aims to do for information what Michael Pollan did for food. The parallels the book draws between the food and information industries are surprisingly persuasive. Like our food, the most easily and cheaply accessible information that we consume today is highly processed and consequently lacking in basic essentials (namely, truth). Sensationalist journalism, opinions disguised as facts, echo chambers are the result; but worse, they tend to propagate more fact and reason-free debate in a vicious circle. And so, we need to go on an information diet. The first half or so of the book presents solid evidence that most of our information sources are failing us; and describes why. A balanced and nuanced news article may cost the New York Times thousands of dollars to research and write; but slapping on a sensationalist headline and quoting the article out of context costs an opinion writer next to nothing. Yet the latter may garner more attention (and hence more ad dollars) because people eat up (pun intended) controversy. And as it becomes harder to find funding for real news reporting, well-presented “research” by people with vested interests starts to get labeled as news. A nice discussion on various forms of human psychological biases rounds off this part of the book. The second half of the book focuses on a framework for the information diet itself. I really liked that the book stays away from concrete recommendations and instead shows how we should think about the quality of the information we consume. First up, analogous to eating locally, we’re asked to consume information that is as close to the source as possible — reading a research paper or even its abstract is better than seeing a soundbite on cable news. There are a bunch of data literacy skills described, including effective web searching, filtering opinions from facts, and creating and publishing content ourselves. We’re exhorted to take control of our attention, and an amusing few pages in the book describe a very diet-like method of reducing our distraction time a little bit each day. The biggest take away for me from the book is the suggestion to limit information consumption to 6 hours a day, leaving the rest of the time for creating rather than consuming. To be honest, I wish this part had been developed a bit further; in my experience, the “kick” that comes from deep focus and creativity is an excellent antidote to our craving for affirmation and hunger for instant news that causes information obesity in the first place. This is not only a wonderful and informative book, it addresses what I think is and will be an essential skill in the digital age. More information about the book is at http://www.informationdiet.com/. Fast is not always better. It seems to have become the highest priority for some media to relay news at the speed of light. But the folks who focus on rushing the news out usually aren’t the ones who report it best. I’m fine with getting my news and information a little late if I can get it at higher quality. I usually catch up on world news in The Economist, a weekly news magazine which usually has much more balanced reporting and in-depth analysis than many breaking news sites. Recently, when the American Supreme Court ruled on the Affordable Care Act, a couple of well known news organizations got the one-line summary wrong in their rush to be the first to report it. Full screen mode is your friend. I’ve (so far) typed about 600 words for this post. I don’t think I’d be able to do it as quickly as I have without full-screening my browser, which removes me from tabs and other UI distractions of a modern browser and operating system. Meditation is a vaccine against distraction. I have found regular meditation (20 minutes or so a day) to be extremely helpful in being focused, avoiding distraction and keeping me motivated to be creative. I took this course to refresh some of my EE basics which, having moved from EE to CS, I had long forgotten. I’d also been dabbling with various online courses being offered by Stanford (Machine Learning and Databases) but although the content and teaching were excellent, I realized that unless I was really serious about a course, I wouldn’t get much out of it. I’d just watch a lecture here and there in my “spare time”, half-heartedly checkout an assignment or two and think about how to approach it. And if I’ve learned anything during my two and a half decades of formal education, it’s that the only way to really soak up knowledge is to get into it like it was a second skin and largely ignore everything else. That, by the way, was about the only thing I learned during undergraduate school, which I spent mostly playing Counterstrike, Age of Empires, and Diablo II. But that’s another story. So, I decided to take this course seriously, not just consuming the content on time, but actually doing the assignments and exams and shooting for a grade. The course set up made this really easy, I must admit. The lectures are interactive, with exercise in between each sequence — real EE problems pertaining to the content, including numerical calculations, formula derivations and reading graphs. There is nothing like a rightly timed problem to get a concept inside your head. And this is why I think the online delivery of education has such power — there is simply no way to do this inside of a classroom given the limitations of time and the variation in the time that students will take to solve the problems. Khan Academy cites this also as a reason for their success. Another fabulous thing about the course is the circuit simulator used for labs. It was so much fun to build circuit components inside a webpage and run analyses on them. I didn’t have anything close to it back in 2003 when I got my bachelor’s. Nothing like a playground to learn how circuits work. Prof. Agarwal is an amazing teacher. I think I can never get tired of one of his first lecture sequences where he describes the scope of EECS and how it starts off with basic physics (Maxwell’s Laws), and keeps on adding layers of abstraction, from lumped element behavior (resistors, capacitors) to amplifiers to digital logic and software. That 11 minute video put things in such wonderful perspective that I think my undergrad might have gone differently had someone explained this to me back then. If you’re just starting out in EECS, make sure you watch this. It’s inspiring to learn how devices can have models of differing complexity depending on the use to which they’re put — a MOSFET can be treated as a crude switch for vanilla digital circuits, a switched resistor for more disciplined digital circuits, and a current source when used as an analog amplifier. It’s very interesting to think that from a systems perspective, there are no lies, only leaky abstractions. Not that there weren’t times when I was pulling my hair out due to a tough problem or a section I couldn’t understand, but that’s always been part of education. It was quite a time-sink, took me about 3-4 hours a week on average (I unfortunately did not have time to go through a lot of the additional materials like video tutorials and the textbook) plus a couple of weekends spent on studying for and giving the midterm and final. Totally worth it in the end, given that I now will be a little less embarrassed to call myself and electronics engineer. 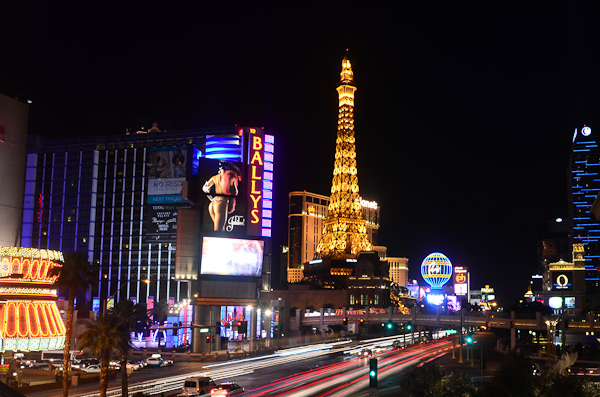 I’m not much of a gambler or a lover of snazzy sights, but despite that Vegas certainly has the redeeming quality of teeming with life even at midnight on a Wednesday evening (when this photo was taken). The city truly never sleeps. 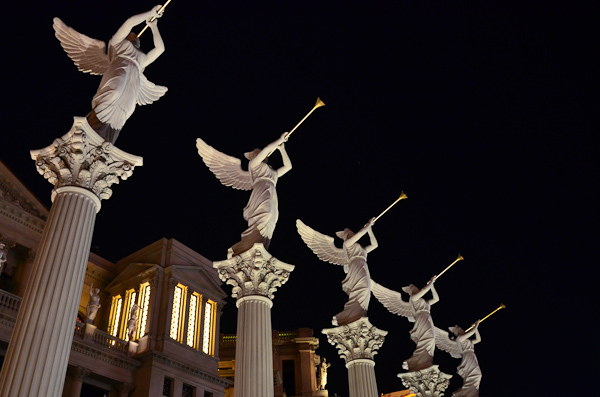 And, while I’m sure the Europeans cringe to see the faux Renaissance artwork (see below), I kind of find it nice. Probably because I’ve never been to Europe. 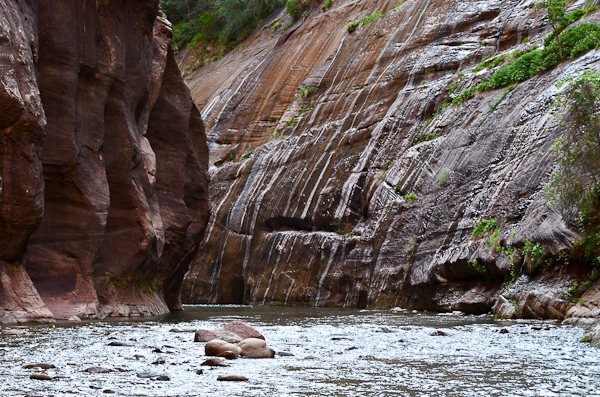 Caught some great scenes of Zion National Park on our way to Lake Powell and did a couple of short hikes. 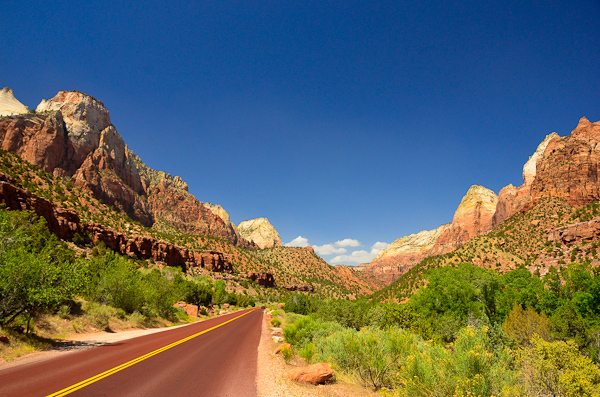 We returned to Zion on the last day of the trip, so left the more exciting stuff for later. 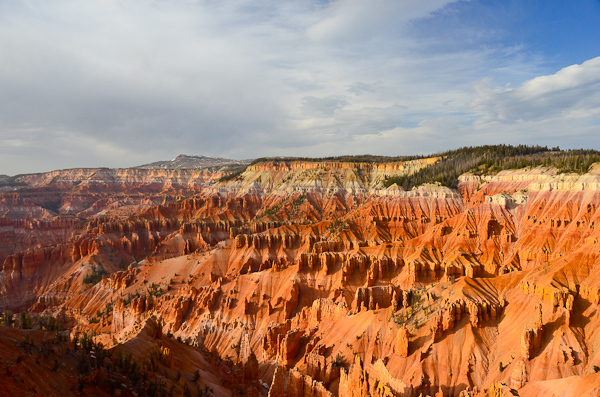 A slightly long detour took us to Cedar Breaks National monument close to sunset for some breathtaking views of the jagged mountain face. 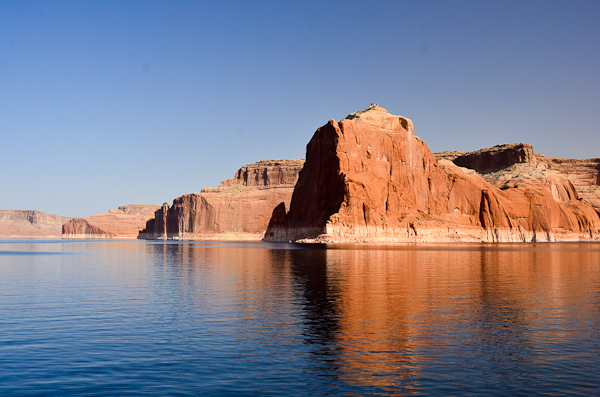 Lake Powell is a man-made reservoir and owes its existence to the Glen Canyon Dam. Although a lot of political and cultural controversy surrounds the lake, it certainly offers spectacular views of the Glen Canyon area up close. 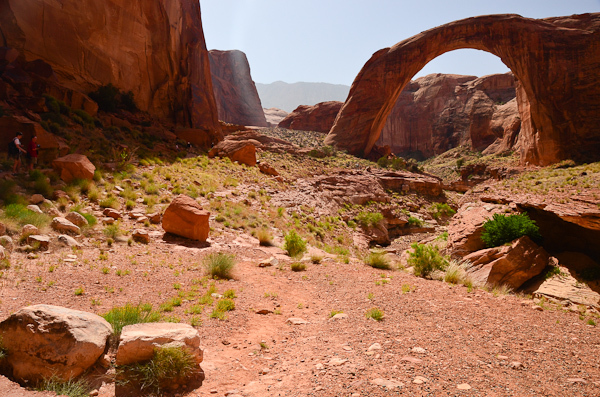 And it also makes it easier to access Rainbow Bridge National Monument (below). 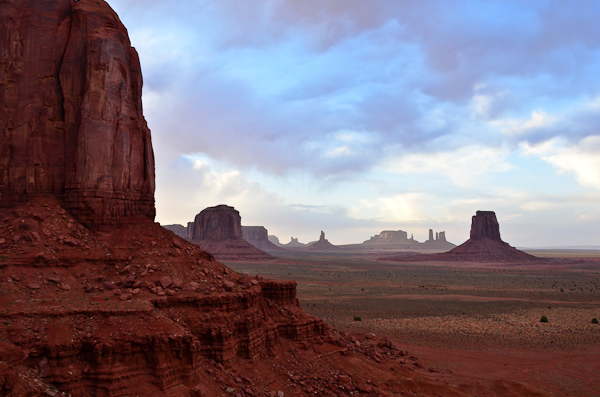 Another 3-hour drive away from Lake Powell is Monument Valley, a Hollywood favourite location depicted on screens since 1939. Forrest Gump, 2001: A Space Odyssey and Doctor Who have all featured these lands. 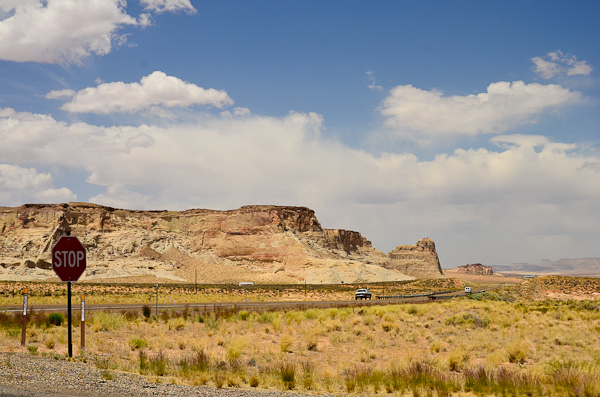 The landscape’s grandeur has to be seen to be believed. 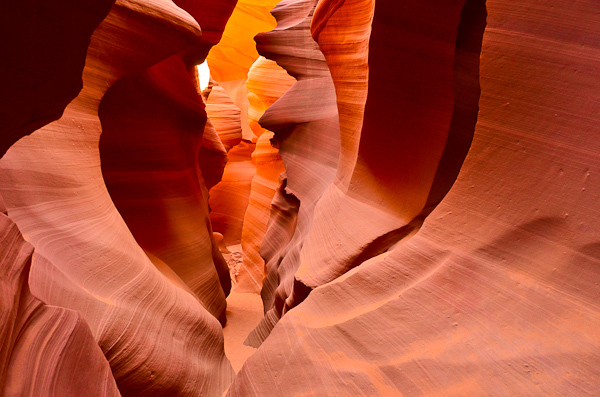 The waves of rock at Antelope Canyon were pretty much the point of the trip. It was all that we expected, and more. We drove back to Zion after Antelope Canyon. The route is remarkably scenic, with alternating vistas of limestone and sandstone. 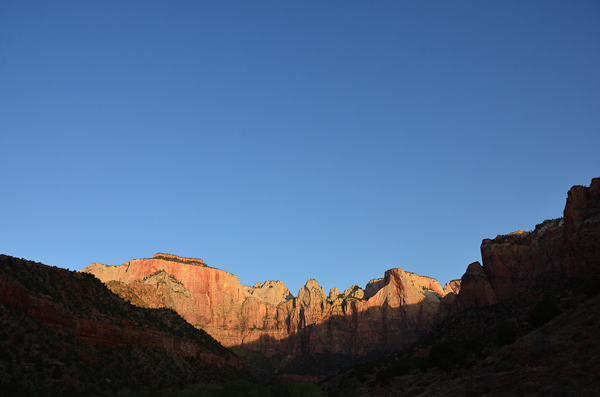 Woke up before dawn to catch the fabulous sunrise over Zion’s tallest canyon walls. 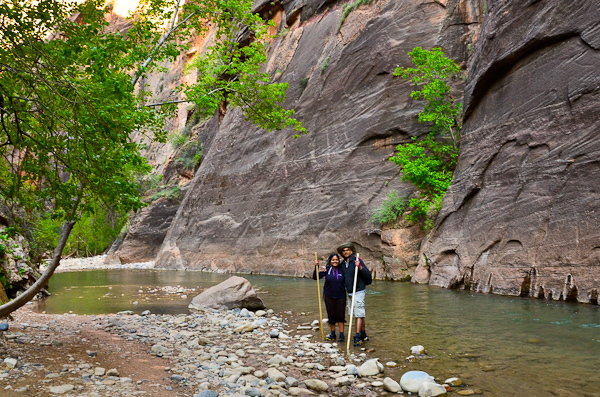 What Zion is best known for, of course, is the river hike through the Narrows, and it was a wonderful experience (see below). We didn’t manage to go all the way this time, lacking some gear and having to catch a flight the same evening after driving 3 hours back to Las Vegas; but I definitely want to visit Zion again. One day was way too short. Once you get used to reading 18th century English, this is an absolutely delightful, interesting and thought provoking book, well deserving of its place at the top of the Harvard classics bookshelf. The two facts I knew for certain about Benjamin Franklin before I read the book were that he was a founding father of the USA, and he was a pioneer in the field of electricity. The former fact isn’t even a subject in the book, which ends in 1757, and the latter is mentioned only in passing. And yet anyone reading the book is sure to come out thinking that Franklin was one of the most interesting people who ever lived. His accomplishments in life were astonishing. He got his start in life in the printing business, and eventually started the second newspaper in America. He was responsible for inventing the concept of a municipal fire department, convincing the public to pay for crime-watch and street-cleaning, conceptualizing and implementing the equivalent of city bonds, founding a university that survives to this day, and leading troops in battle, among other things. Socrates, who said “the un-examined life is not worth living”, could not have been prouder of this man. It’s fascinating how deeply Franklin examines himself, analyses his smallest failings and endeavors to improve them. He spent months maintaining a diary in which he gave himself black marks every day for offending his high standards of decency, integrity, and hard work. His methods of keeping a habit of daily study of some subject or other throughout his life are very motivating. The book also gives a wonderful glimpse into early America, way back in time when the country as it is today was still being made. How Boston had paper currency whilst Philadelphia had silver, how business was financed not by banks but people of means, how the British aristocracy coerced ever more taxes from the colony in the name of protection, which ultimately led to the revolution. Most striking of all, though is that this isn’t told from a grand historical perspective, but from the point of view of one man who was involved with all of these dealings personally — a feat which, alas, is almost impossible in today’s world of specialists, where an economist can’t be a general, who can’t be a philosopher, who cannot afford to be a politician. Apple’s new iBook creation software has a condition in the license agreement that disallows you from selling any work created using the software except via Apple (which will be subject to a further unspecified agreement). More details here. Apple, in this EULA, is claiming a right not just to its software, but to its software’s output. It’s akin to Microsoft trying to restrict what people can do with Word documents, or Adobe declaring that if you use Photoshop to export a JPEG, you can’t freely sell it to Getty. I find this argument valid but on very thin ice. If an author creates a whole textbook, including the text, images, and interactive content like quizzes and instruction flow I’d say the originality of Apple’s embedded code is small compared to the author’s contribution. If someone writes an original play that uses a copyrighted image as the ellipsis sign, technically it is a derivative work and the copyright holder of the ellipsis sign has a right to dictate terms. On an ethical level, I wouldn’t support such a claim being enforced. What worries me is the slippery slope. If this is Apple’s strategy going forward, I wonder if we can expect them to eventually assert their rights over the output of software like Pages, Garageband, Aperture or Final Cut. Or even worse, expect them to assert distribution rights or monetary claims over any software that we write on Macs. I was considering buying a Macbook this year for personal coding projects, and this piece of news is sending a few chills down my spine. Vacations — how we love them! It’s not just the water which comes in shades that give the colour blue not just a personality, but a soul; it’s not the sand that’s so fine that you’re tempted swim in it; nor does the salty tang of the insistent ocean breeze really explain it. What really explains it — as my wife and I had dinner, we discussed what we dream of doing before reaching 40, instead of whether we want to watch Star Trek or the Big Bang Theory. Earlier, I saw a bi-weekly reminder on my phone to wash linen; and broke into laughter. Death by a thousand chores can’t reach me here. Given a little distance, the seriousness we accord the smallest details of life while ignoring the broadest strokes looks exactly like it is — ridiculous. It’s good every now and then to go to the edge of your existence, force yourself to the shoreline of your day-to-day life and look outward. Where you’re free to blank your mind on the void of the sea, or imagine the distant shores you’d set sail for if you could. I’m on a gadget clearing spree, and decided to use Apple’s recycling program for my nearly 7 year old Powerbook G4; my first Mac. I haven’t used it in nearly 3 years. To be honest, I was somewhat surprised that it started up almost without any fuss. I’m guessing the battery would’ve run out completely, so I got a warning that the computer’s time was set to 2001, but soon after that, Mac OS X automatically fixed it; I presume I’d activated NTP at some point. Somehow this Mac felt much more personal to me then than any machine does now; thanks to the cloud and the plethora of machines I have around me, I’m pretty agnostic to my computers these days. I could use my personal Windows laptop or desktop, work on the Linux VM on my desktop, use my Macbook Pro from work or the test Chromebook that Google’s given me; and a lot of mail-checking and news reading is done on my phone. The network connected DVD player in the living room does a lot of music and movie playback. I’m typing this on the better half’s old Macbook, which is also getting to be ‘of a certain age’. 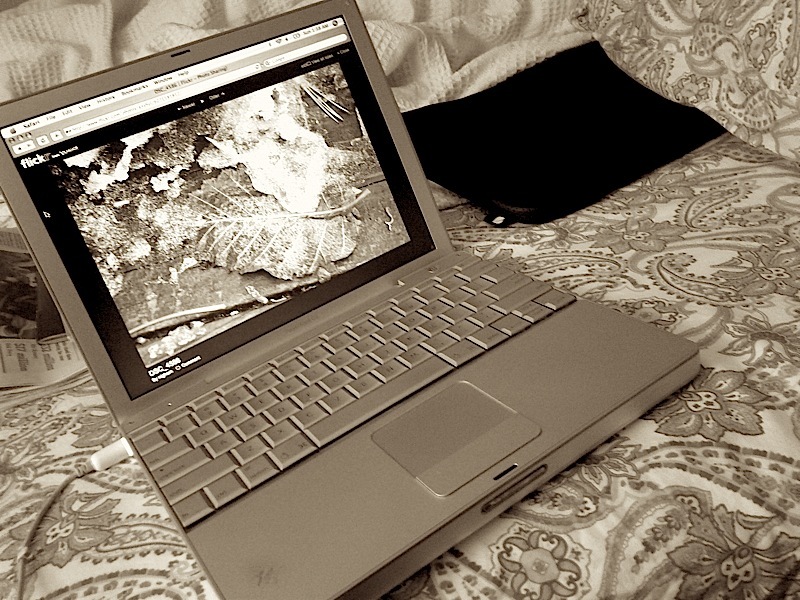 Back then, it was all the Powerbook. It was literally the only machine I used for a very long time, for photo editing, movie watching, coding, thesis writing, gaming, DVD-ripping, you name it. On the desktop was evidence of what was probably one of the last things I did on it — designed my wedding card in Photoshop. I have to give kudos to Apple for designing and manufacturing something that lasted this long. I felt a real pang of nostalgia when I started typing on it — the keyboard of the Powerbook generation handily beats any keyboard Apple or anyone else has designed since, with the possible exception of the Thinkpad keyboards. I really wish they’d bring that design back. The screen too was as good as ever, though the hard drive seemed to be noisier than I remembered and the laptop grew uncomfortably hot after a while. It’s the software, strangely enough, that hasn’t kept up. I couldn’t find any modern browser that still distributed Mac OS X binaries for G4 chips. None of the circa 2007 browsers that were installed on the machine could run Google+, for example. I suppose I could find a Linux distro that will still compile on a PowerPC platform but sadly enough, these aren’t grad school days and I have other things to do. So back it goes, to the company it came from, in many ways a generation later. I remember once, in jest, calling it “An elegant weapon for a more civilized age” like the lightsaber in Star Wars. That statement rings more true now than it did then. His music could pull emotion out of thin air. You would lose your sense of all existence while swaying to ‘Main Nashe Mein Hoon’ and yet, feel your heart weep over the numbingly fragile nature of humanity with ‘Woh Kagaz Ki Kashti’. Truly, without his music, a whole dimension of my life would’ve gone unexplored.